Trainer Peter Snowden hailed the 'unbelievable' achievement of Redzel after he defended his $13million The Everest Crown on Saturday. Redzel led all the way, defeating a gallant Gerald Ryan's Trapeze Artist by one-and-quarter lengths with the James Cummings-trained Osbourne Bulls down the outside fence, one-and-a-half lengths away in third. 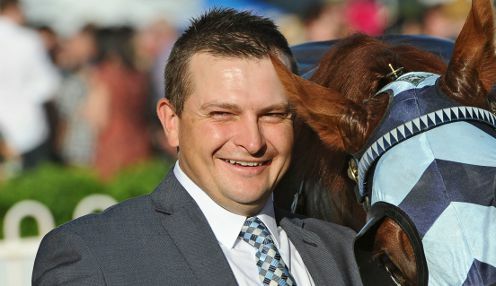 Redzel took out the inaugural race 12 months ago, but had been written off by many heading into this year's race, and even Snowden found it hard to believe. Due to the size of the price money involved, Redzel took his earnings to second on the all-time Australian earnings list behind Winx. "I wouldn't rate him above any of the real champions but he's a very good horse in his own right and I think he deserves to win this race," Peter Snowden, who trains Redzel in partnership with his son Paul, said. "I can't believe it. To win it once I thought we were very lucky but to win it again, it's unbelievable." Redzel's hopes of back-to-back wins looked doomed when he was scratched on the morning of The Shorts after straining a muscle. However, son Paul said "belief" and a resilient racehorse can overcome adversity. "People wrote him off but I think it's all about knowing and believing in your horse," he added. "You don't ever give up in this sport, that's how we treat everything. "Don't throw the toys out of the cot, don't throw yourself down, just try to do your best to get things back on track again." Meanwhile, Youngstar is 6.50 to win next Saturday's Caulfield Cup, with Yucatan priced at 1000.00 and Night's Watch at 17.00.